TAMPA, Fla. - April 27, 2018 - PRLog -- Cox Media Group has named John Marazzi as its "Community Hero" for the month of April 2018 for his advocacy and work on behalf of pet rescue. Marazzi was interviewed by six Cox radio stations recently to talk about Project RAD (Rescue a Dog), his new nonprofit foundation that he and his daughter Marissa Marazzi have formed to digitally catalog and update rescue animals available from county rescue centers and area animal shelters through direct marketing. Marazzi is the managing partner at Brandon Honda and Sun Toyota. 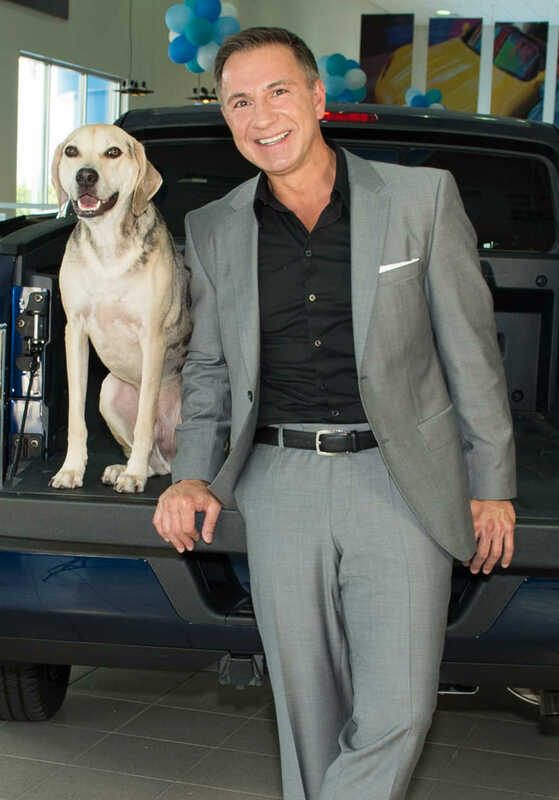 He has been a lifelong advocate for rescue animal adoptions and has two rescue dogs, Zeus (his dealerships' mascot) and Athena. He and Brett Morgan of The Morgan Auto Group and Anna Cooke of The New Barker magazine work together every year to promote rescue pet adoptions throughout the year, culminating with the annual "Just One Day" national event held on June 11 that saves the lives of approximately 10,000 shelter animals across the United States by introducing the public to adorable, adoptable animals and offering on-site adoptions. "I am honored to accept Cox Media Group's 'Community Hero' award for April," said John Marazzi. "Rescue shelters do a great job of rescuing and caring for stray animals, but it is animal overpopulation in shelters that has made euthanasia sadly inevitable for far too many animals." John Marazzi will be the lead investor in Project RAD, a new 501(c)3 nonprofit foundation that will provide digital and marketing solutions expected to drastically increase the number of rescue pets adopted that, in turn, will decrease the number of animals needing to be euthanized daily to make room in shelters. Additional information about the new digital app will be available shortly at www.BrandonHonda.com, www.SunToyota.com, and www.JohnMarazzi.com websites that will soon provide a link to the new www.RescueADog.com being developed. The New Barker is a Florida-based lifestyle magazine about dogs that reaches about 30,000 dog lovers quarterly. It provides valuable information on where to shop, dine, play, vacation, and have fun with dogs throughout Florida with award-winning photography, original feature stories, and collectible artwork covers by Florida artists. For more information and dog-friendly event postings, visit www.TheNewBarker.com. The hallmark of Morgan Auto Group dealerships is their keen focus on impeccable customer service. Brandon Honda is located at 9209 E. Adamo Drive in Tampa, FL 33619, one mile west of I-75. For more information, call 813-664-1234 or visit www.BrandonHonda.com/. Sun Toyota is located at 3001 US Highway 19 just south of SR 54 in Holiday, FL 34691. For more information, call 727-478-0070 or visit www.SunToyota.com. Both dealerships have onsite cafes that offer freshly prepared meals and snacks all day for customer enjoyment and convenience.